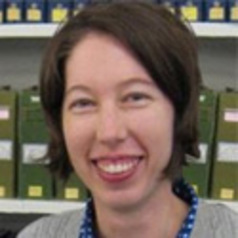 Erin Connelly is the CLIR Postdoctoral Fellow for Data Curation in Medieval Studies in the Schoenberg Institute for Manuscript Studies in the Kislak Center for Special Collections, Rare Books and Manuscripts. She holds a Ph.D. in Medieval English from the University of Nottingham with a special interest in medieval medical texts and the relevance of medieval medicine for modern infections (Ancientbiotics). Her doctoral project was the first edition of the 15th-century Middle English translation of Bernard of Gordon's Lilium medicinae.